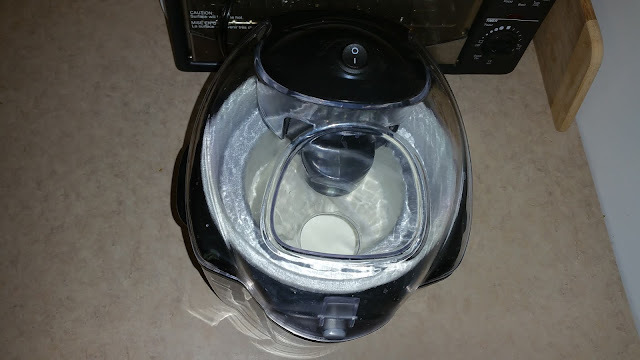 A few years ago I was gifted an ice cream maker. It came with a recipe book with tons of recipes but they were all sweetened and flavored. 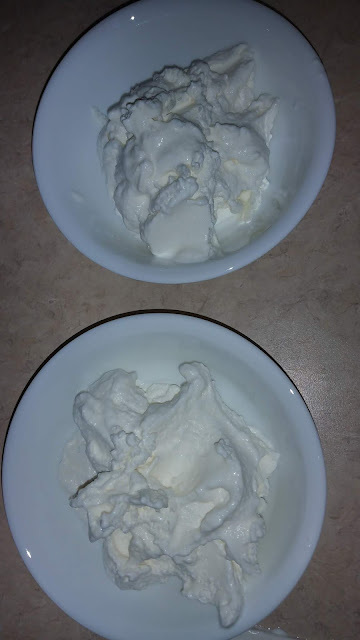 Now I'm the kind of person who likes to whip heavy cream up plain and then eat it by the spoonful. I scoured the Internet for a plain ice cream recipe and there was nothing. Doesn't anybody but me love the flavor of just plain cream unadulterated by sugar and vanilla? Well maybe you because you're reading this right now. Anyway, I set forth to make a plain ice cream recipe with a great texture and I succeeded and it was absolutely delicious. Let me show you how. *In order to make ice cream you will need an ice cream maker. If you don't already have one, you can get this highly rated Cuisinart model on Amazon HERE (Amazon Affiliate Link). Now that you have your 2 simple ingredients and your ice cream machine chilled and ready to go, let's get started! 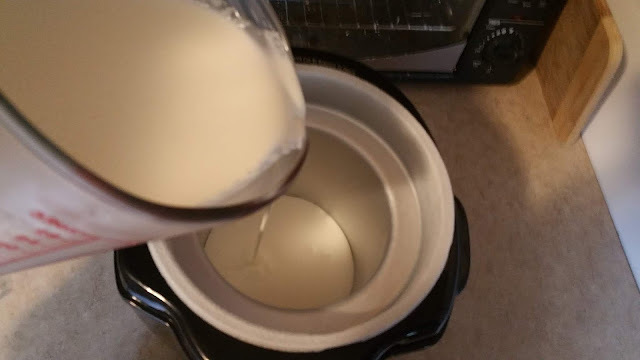 Add your milk and cream to your ice cream machine and turn it on. It will begin to mix your ingredients. It will continue mixing for 20-40 minutes. You will notice that as it mixes it starts to expand and take up more room in the ice cream maker. When your ice cream maker starts to struggle and reverse repeatedly, this is when you will know the ice cream is done. My batch took about 30 minutes. 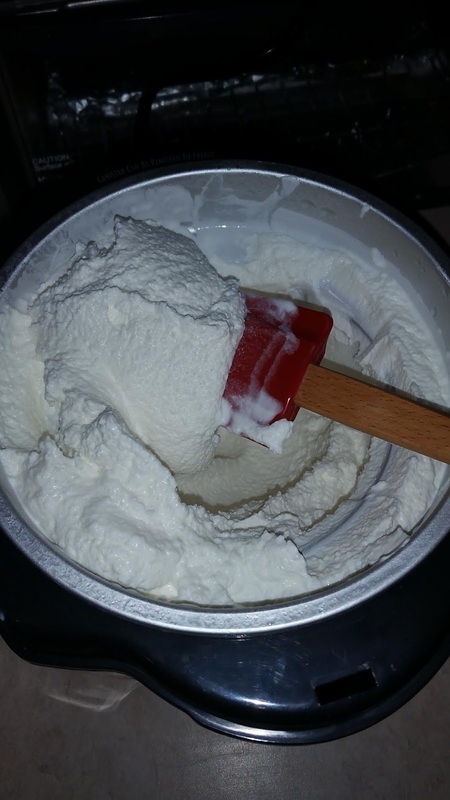 Serve immediately OR scoop your ice cream into a tub and put it in the freezer for later. Any frozen ice cream will freeze solid because it has no sugar or flavorings to keep it soft. 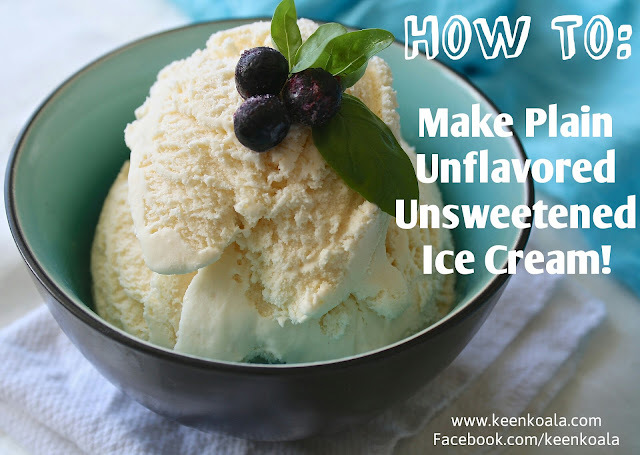 To soften frozen ice cream simply put it in the fridge for 4 or 5 hours before serving and then it will be easy to scoop! 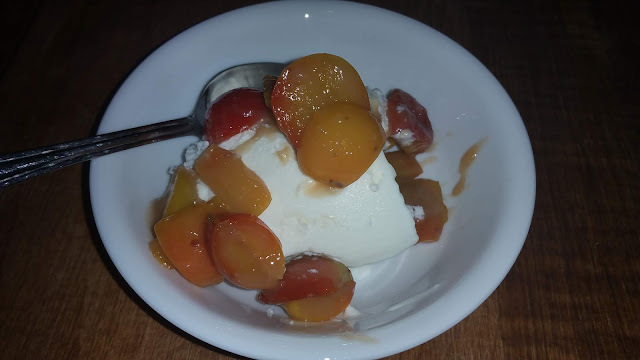 Here's one more picture for good measure with a crabapple caramel sauce that I made. Let me know what you think of this ice cream. I just love it. Join us on Facebook HERE.